Last year’s holiday season unwrapped a new all-time e-commerce record: Cyber Monday turned out as the biggest online shopping day in U.S. history, spawning $6.59 billion in sales. Not far behind was Black Friday’s $5.03 billion online sales. 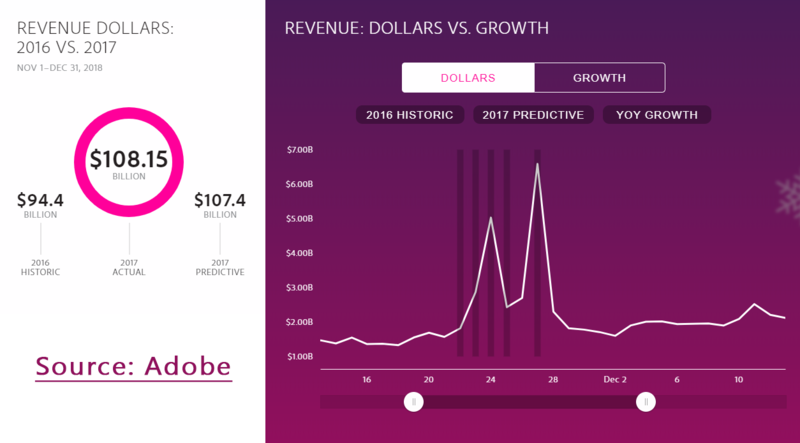 For 2018’s Black Friday and Cyber Monday (BFCM) sales, Adobe Digital Insights projects that both will cumulatively exceed 2017’s online sales up to 700 million on Black Friday and 800 million on Cyber Monday (US dollars). It’s no surprise why more and more eCommerce stores participate in BFCM every year. On November 23 & 26, shoppers are ready to spend. The question is – are you prepared? The increase of BFCM eCommerce participants also means that there’s a cutthroat competition, a lot of stress, and a painstaking preparation. This is why we’ve skillfully compiled this master guide to Black Friday and Cyber Monday to minimize your headaches and maximize your BFCM revenue. Our Black Friday guide will walk you through everything you need to know to run a BFCM sale: from planning, preparation, anticipation, selling, and even performance measurement. Ready to run a successful BFCM this year? Let’s start! Do you have sufficient inventory to get through the BFCM sale? Take advantage of analytics to understand your previous year’s sales performance. Start by conducting a product performance analysis within last year’s BFCM. This will help you identify your top-selling BFCM products as well as the number of unique purchases made. Instead of looking at product revenue performance, focus on the quantity column to see the number of units sold per product. This will give you enough estimate as to how much inventory you should allocate per product. Once estimated, you need to coordinate with your suppliers. Make sure that your online shop is prepared to support the increased demand. Now that you know how to measure the right inventory allocation, ask yourself this: do I need to hire temporary staff to handle the anticipated spike in orders? If you manufacture your own product, you need to anticipate if the surge in orders can be covered by your team. If you also manage your own shipping and order fulfillment, then it’s a good idea to include this to your temporary manpower plans. Additionally, work with your suppliers and shippers to confirm if they are also prepared to fulfill all the heightened demands during the BFCM period. The worst thing that can happen to your store is wasting all the sales opportunities because you can’t meet all your customers’ demands. Your BFCM sales won’t run successfully without the right offers. Determine which deals and discounts you need to run and to which products you need to apply them. During the BFCM period, shoppers have different reasons why they purchase so make sure your offers are based on different motivations. Try offers that revolve around free shipping, limited-sale promos, and free gifts. For example, the family-owned Holabird Sports has promoted a wide selection limited-time offers during its Black Friday sales. Take advantage of the holiday rush by heightening more urgency to your BFCM offers. 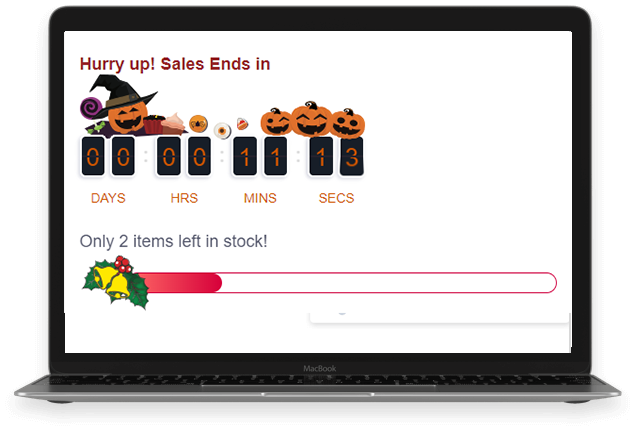 Incorporate a countdown timer in your BFCM offers using the pre-designed holiday themes of Checkout Boost. The sudden rise of traffic means that excessive simultaneous website requests may occur. There is a possibility that your online store can bog down and eventually crash your site. This can happen especially if your current specifications don’t have the capacity to handle the mammoth traffic. In fact, one in every five shopping carts is abandoned because the website crashed. To prevent this, as early as now, test the server load capacity of your online store to analyze your website performance during the BFCM peak. eCommerce tools such as Load Impact will help you measure the current gap between customer demands and the website’s capacity to consistently and reliably meet those demands. You can run your free test here. Although you’ve already tested and improved your website performance, the cart abandonment is something that you still cannot get rid of for good. The good news is, you can recover a good number of upcoming abandoned carts with an easy hack. That’s web push notifications. It helps re-engage with customers by sending a notification on their browser so they can complete their purchase with ease and convenience. To compare with email marketing, web push notifications not only grab attention quicker but also do not require their contact details to implement. It’s direct and simple to remind customers about their almost purchased products. 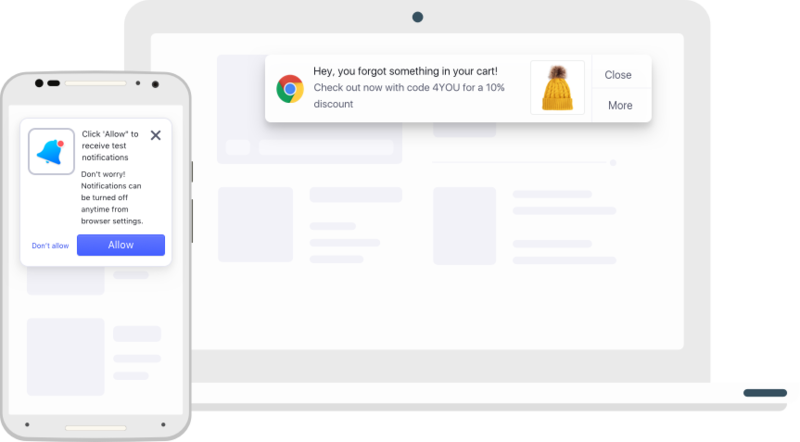 To implement the web push notifications on the upcoming BFCM, you can try Recover Cart Pusher – an automated tool to recover abandoned carts quickly and effectively. Last year, mobile shopping accounted for 36% of Black Friday and 29% of Cyber Monday sales. The trend for BFCM mobile shopping has seen to continuously grow from 2015-2016 and clearly, the upward trend will continue this year. This means that you need to prepare your online store to accommodate the surge of mobile shoppers. Do I have a mobile responsive website? Can my customers easily navigate on their mobile devices? 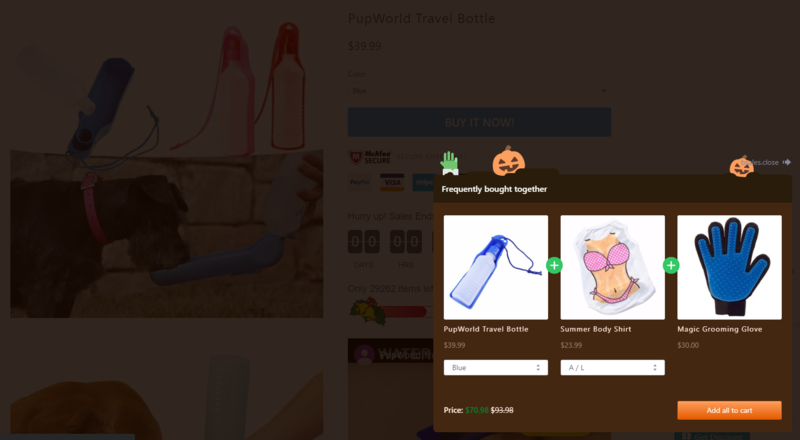 Can my shoppers easily buy a product on their mobile device without having to go to a desktop? The good news is you can all implement these important mobile optimizations using Mobile Web Boost, an eCommerce tool to help you embrace mobile shopping. Simply announcing that you have a BFCM sale won’t do the trick. Consider preparing for pre-marketing campaigns that will help you create hype for your upcoming sale. Begin by emailing your customer base with a sneak-peek of your products on sale. As early as now, you can also pique your customers’ interests through social media. The idea is the sooner you start your promotional teasers, the more momentum you will gain during the BFCM sale itself. 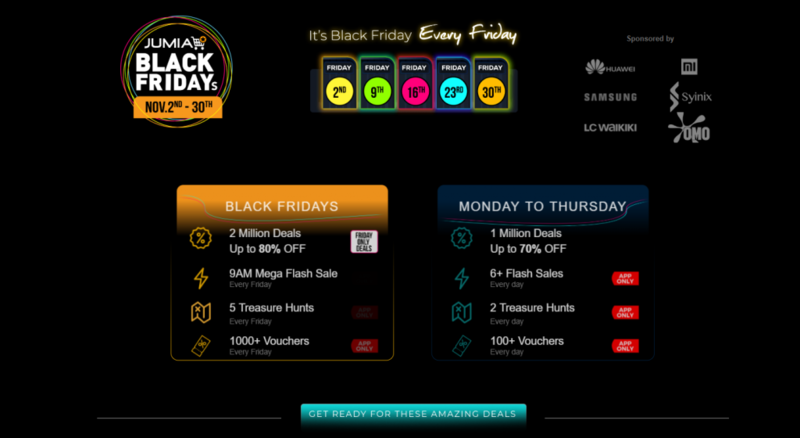 Surely you will find an inspiration from Jumia’s Cyber Monday landing page which is already up and running. This allows shoppers to find the perfect Cyber Monday deals as early as October! 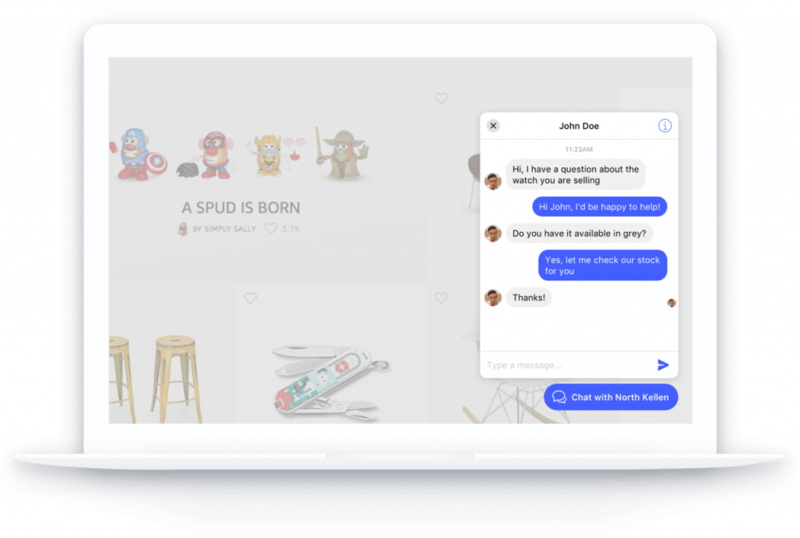 Plus, they also incorporated social sharing buttons to gain more traction from social media. Identify your high-value customers based on spending habits and loyalty. This segment of your customers is your sought after base because the most chunk of your revenue comes from them. This is why you need to treat them more differently, especially during important sales and promos such as BFCM. What you can do during the BFCM sale is to give them an early access to your special deals and discounts. Allow them to purchase a day before your scheduled sale to the general public like how Victoire sent a “First dibs goes to you” email to its top customers enabling VIP shoppers to shop a day before Black Friday. This presale is also a good word-of-mouth strategy as your VIP shoppers can tell their friends and family what to expect during your BFCM sale. Running social ads during BFCM can help you build incredible awareness to your BFCM sale. But for savvier social media marketers, it’s not enough that you run a social ad. You need to be as highly targeted as possible with your audience. Ask yourself: are you targeting the correct audience? You can optimize your social ads by understanding the profile of your target audience first, who they are, how they think and behave, etc. If you want to advertise on Facebook, for example, you can use its Audience Insights tool to display your target audience based on their demographics, geography, purchasing behavior, and more. Here’s a step-by-step guide in using Audience Insights. Once you know your ideal customers, run your ads according to their profile. For instance, you can look at which countries or cities your target audience are most active on, and then display BFCM ads targeting those locations. A doorbuster is a sales strategy that mainly centers on driving a high volume of customers to an online store by promoting a jaw-dropping discount. The hope is once the customers are lured to your online shop, they will pick up a few more items aside from the doorbuster offer. For example, Pololu offers a huge price drop for its popular items for the first 50 customers only. What will set you apart from competitors will help you close a successful sale. With the proliferation of discounts and deals during BFCM, the differentiator will most likely be down to the customer’s shopping experience. How your visitors feel about the shopping experience will weigh if they will purchase from you or not. In fact, 24% of holiday shoppers are convinced to purchase because of positive customer service. Live Response: Anticipate that you will receive a spike of questions during the BFCM period, so make sure your customers will have a way to get a quick and courteous response. 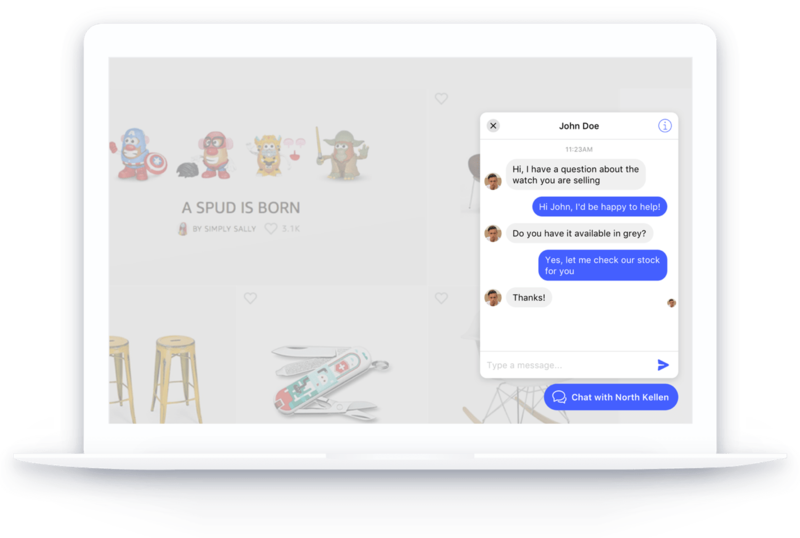 Try integrating Facebook Chat to enable your customers to chat using their Facebook accounts right in your online store. Convenient Return Policy: More than 6 in 10 holiday shoppers with a bad experience in returning a product reported that they would be hesitant to shop at that store again. Alleviate your customer’s stress by guaranteeing an easy and hassle-free returns. With any type of sales and promotions, there are always those last-minute shoppers who are looking for the best last-minute deals. This is why you need to plan out a strategy to capture these last-minute shoppers. For example, Amazon, an eCommerce giant, has a dedicated Last-Minute Deals landing page to enable last-minute shoppers to shop for Black Friday deals. And since last-minute shoppers are hurrying, they might missed out some important deals. Don’t forget to remind them that you still have a lot to offer such as cross-selling BFCM deals that they might not resist. To help you during the Black Friday & Cyber Monday rush, use pop-up offers with holiday themes using Boost Sales. During your BFCM sale, you will uncover things that you can learn from which is why setting up analytics to help you track and measure where you are, the mistakes you’ve done, and the successes you’ve made. The lessons you’ll learn will help you improve in the future. One of the easiest ways to analyze and track your store metrics is integrating Insightful into your store backend. 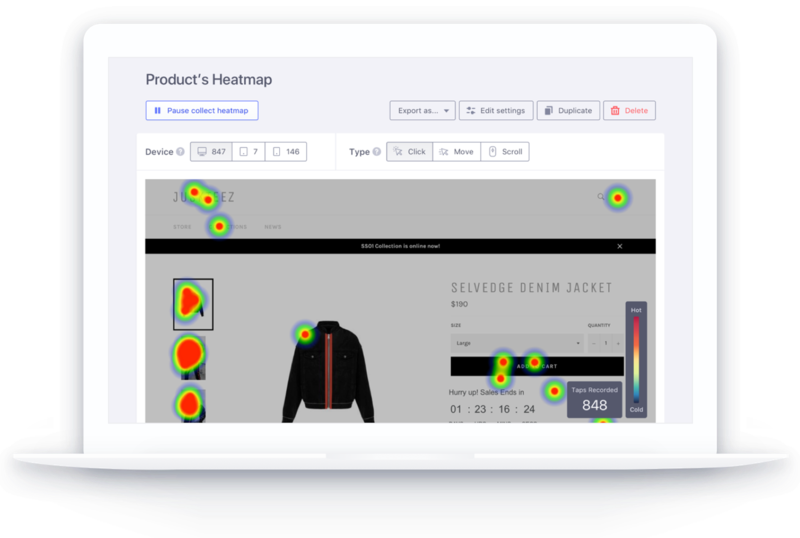 Insightful helps you easily understand your customers by providing detailed data and heat-map of their shopping journey on your store. 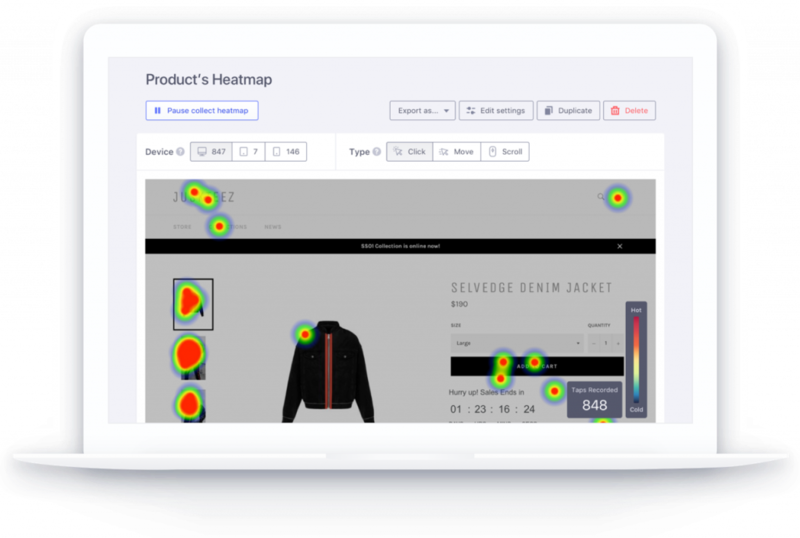 By looking at the real-time data, you can find the hottest opportunities to grow sales and optimize conversion rates from all stages of your funnel. Aside from Insightful, you can also invest in other eCommerce analytics to help you build and grow your traffic, conversion, and retention so that you’ll have a better crafted Black Friday and Cyber Monday. Consumers’ online spending looks strong for 2018’s Black Friday and Cyber Monday. As the world is ready to shop online, your eCommerce store must start planning as early as now to anticipate the sudden influx of holiday shoppers looking for the best Black Friday and Cyber Monday deals. Our Black Friday guide above is filled with everything you need to get you set, engage with your holiday shoppers, build incredible momentum and start your BFCM selling successfully! If you need more help with your holiday marketing, visit our holiday marketing guide to get our free 20-point checklist to achieve victorious holiday sales.